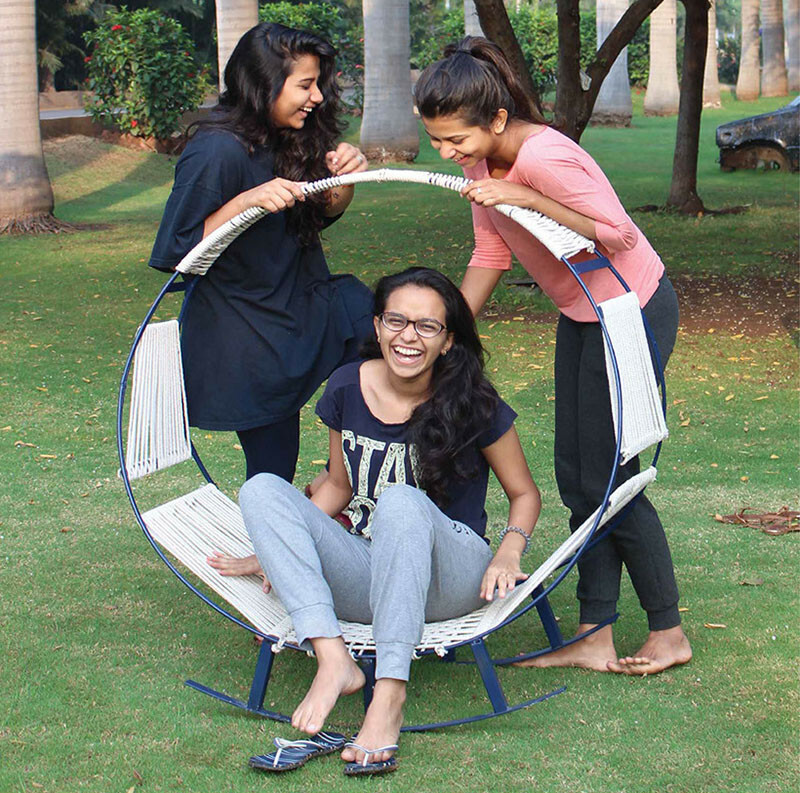 Harshita Murudkar, Shivani Gulati and Mehak Philip are three design students at MIT Institute of Design in Pune, India, who decided to take an assignment, that challenged them to design and create a furniture prototype in just 2 weeks. 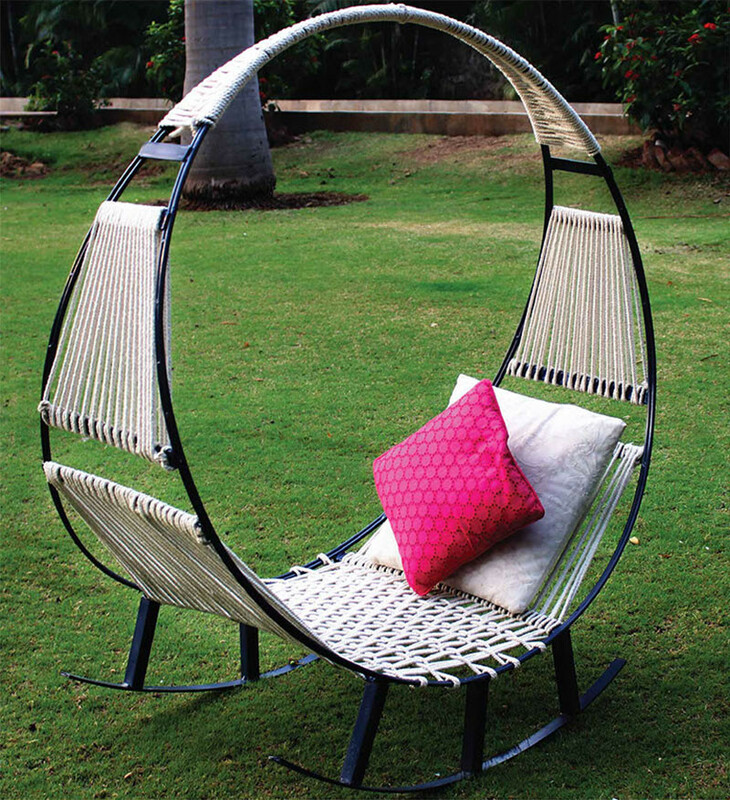 They came up with the idea of combining a hammock and rocking chair. After figuring out the direction they wanted to go in, they designed the piece and set about making the metal frame. 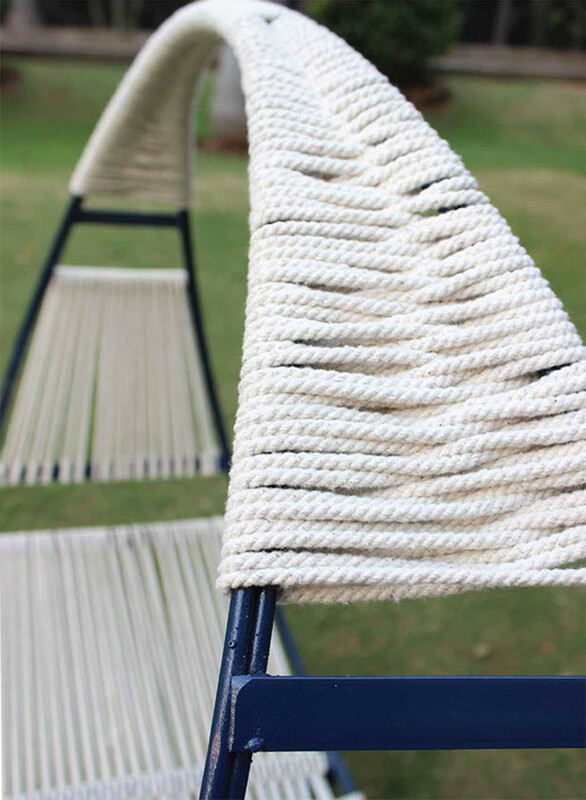 They also had to research different weaving methods that they used for the seat. Here are the three different weaving styles they went with. Once the finished frame was painted, they then had to weave the different sections. Here is a close-up look at the Trilobite weave. Once the weaving was completed, they had a fully finished prototype. A lounge, that you can sit in and rock on at the same time. a community that celebrates contemporary culture, focused on architecture, design, art and travel.